This past summer a great deal of time was spent reviewing ACS’s security and internal emergency procedures. A plan was created and it was decided to use our allocated City Security Funds, in addition to our own budget, to replace the school’s front office doors and replace our aftercare door’s hardware. 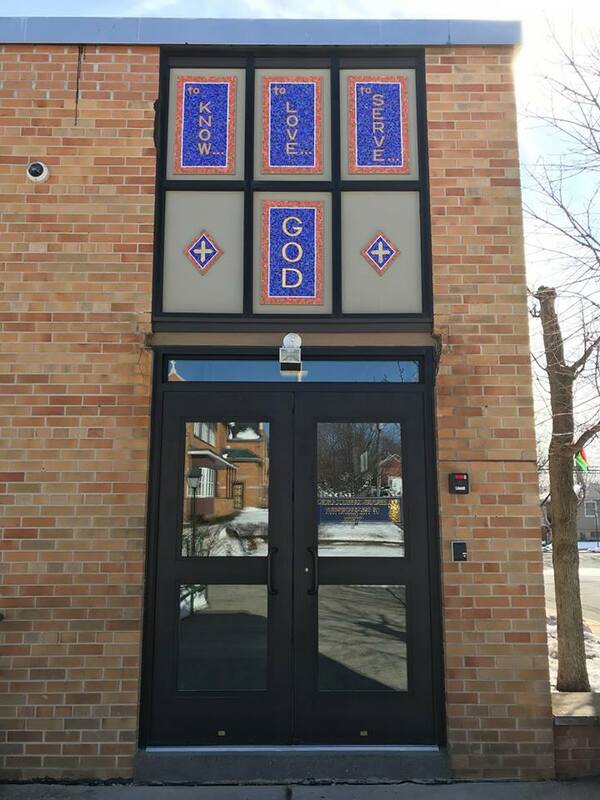 I am happy to announce that the new doors were installed on Tuesday. They look great but more importantly work on an upgraded system that works effectively with our security cameras. ACS thanks C&M Door Controls, Inc. for their dedicated service, understanding of a small Catholic School’s budget and safety needs. In addition to the doors, more two way radios were purchased to increase communication. Our plan is to have one in every room by September. So, in addition to our intercom system, the “walkie-talkies” will make sure all classrooms have two ways to communicate to the office. If you have any concerns, suggestions or feedback concerning any issues please contact me. And come check out our new and secure doors.